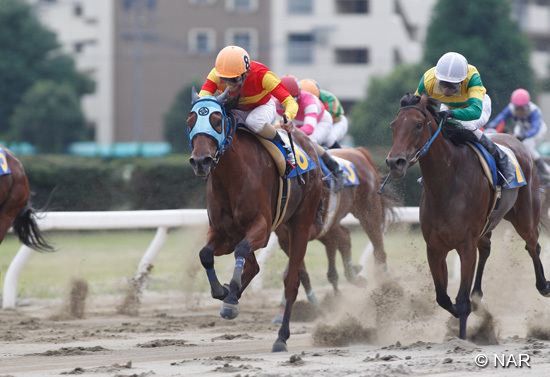 The National Association of Racing (NAR), the national level regulatory body for the Racing by Local Governments in Japan, has announced the 2014 NAR Grand Prix Awards for the year’s outstanding horses, trainers, jockeys, and others within the industry. Horse of the Year was Summit Stone, winner of the Urawa Kinen and top finisher from among NAR-registered horses in the Tokyo Daishoten (G1). 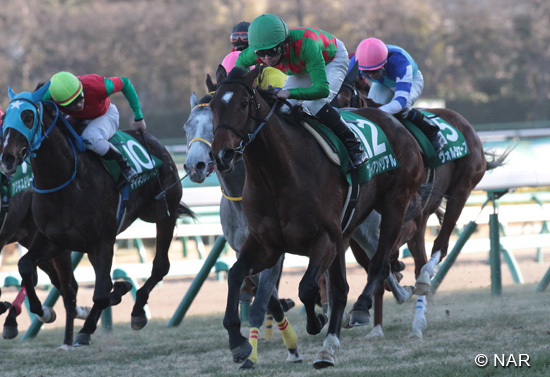 The 6-year-old, Funabashi-based Summit Stone turned in a gallant performance to finish third in the Tokyo Daishoten. He is trained by Yoshiyuki Yano. Summit Stone was also awarded Best Thoroughbred Older Colt or Horse. 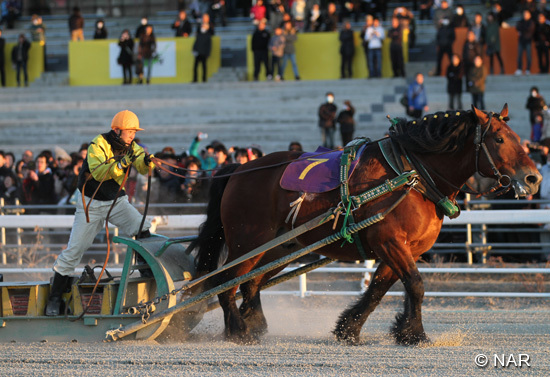 Best Thoroughbred 2-Year-Old Colt went to Jajauma Narashi, who won the principal dirt race the Hyogo Junior Grand Prix. 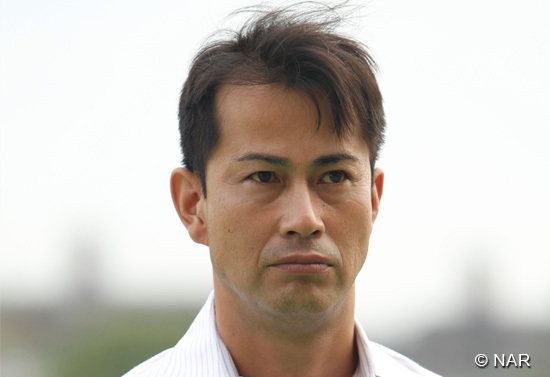 Jajauma Narashi is trained by Satoshi Kokubo and is based at Urawa. Best Thoroughbred 2-Year-Old Filly was awarded the Oi-based, Katsunori Arayama-trained Lalabel, who won both the Laurel Sho for select NAR-registered horses and the Tokyo Nisai Yushun Himba. Best Thoroughbred 3-Year-Old Colt was won by Happy Sprint, an Oi-based colt trained by Junpei Morishita. 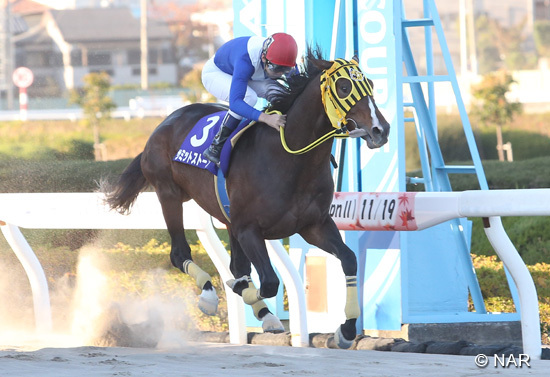 Happy Sprint captured two jewels of the southern Kanto region, the Haneda Hai and the Tokyo Derby and just missed out on the winner’s circle by a nose as runnerup in the Japan Dirt Derby. Toko Nike was named Best Thoroughbred 3-Year-Old Filly. Toko Nike is based in Hyogo and trained by Tatsuho Yoshiyuki. 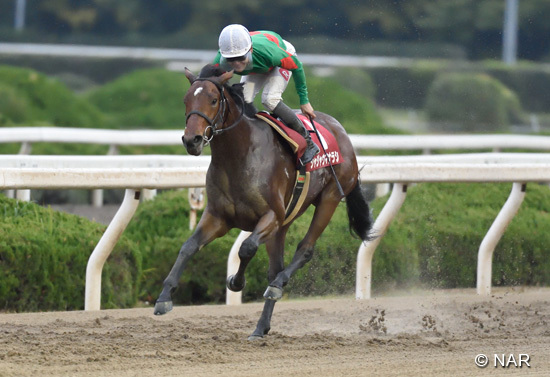 The filly topped, as second-place finisher, the NAR-registered runners in the Kanto Oaks, a principal dirt race for 3-year-old fillies and part of the Grandame-Japan, a series of principal races for females. Best Thoroughbred Older Filly or Mare went to Pitch Shifter, a 4-year-old filly trained by the Aichi-based Tsuyoshi Kawanishi. In addition to winning three principal races, Pitch Shifter also turned in fine showings against male runners in two principal dirt races. 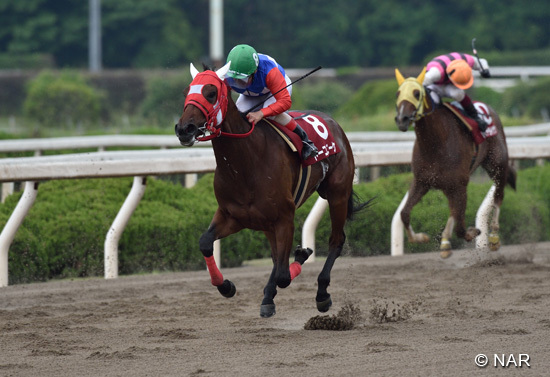 She turned in a second-place finish the Summer Champion and a fourth in the Kakitsubata Kinen. Best Ban-ei (Draft) Horse was awarded Infinity, an 8-year-old trained by Isami Kaneta. Infinity won Ban-ei racing’s pinnacle event, the Ban-ei Kinen, as well as the principal race Dream Age Cup. 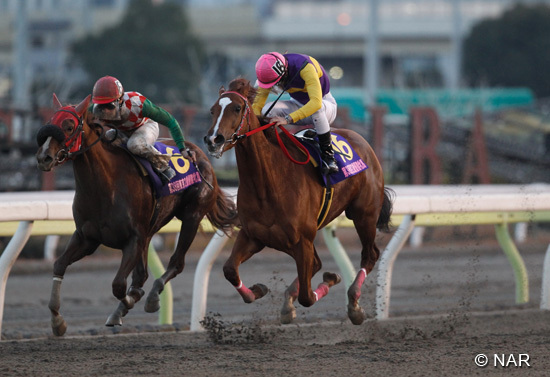 Satono Tiger, a 6-year-old trained by the Urawa-based Satoshi Kokubo, was named Best Thoroughbred Sprinter or Miler. 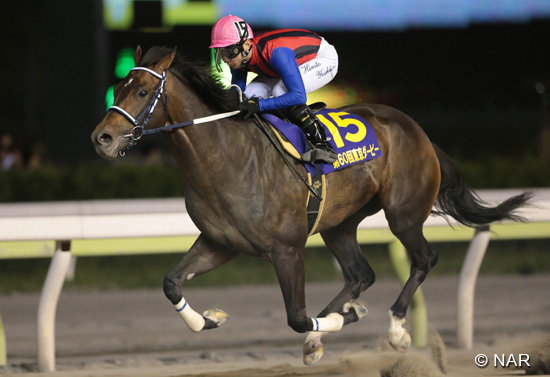 Satono Tiger shone in short-distance events with a second-place run that tied the winner's time of 1 minute 9 seconds in the JBC Sprint, the pinnacle of dirt sprint racing, and a second-place in the JRA G3 Capella Stakes. Dirt Grade (Principal Dirt) Race Special Prize went to Hokko Tarumae for the second year in a row. 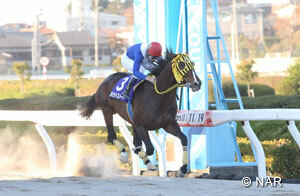 The 5-year-old Hokko Tarumae notched the Kawasaki Kinen, as well as the Tokyo Daishoten (G1). 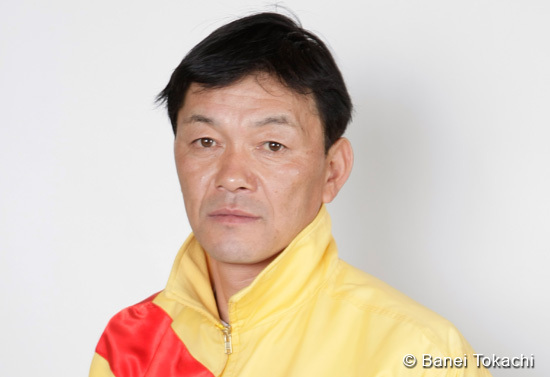 The JRA-registered Hokko Tarumae is trained by Katsuichi Nishiura and is based at Ritto Training Center. Special Awards went to Raiden Leader and Adjudicating. Raiden Leader won the JRA’s Hochi Hai Yonsai Himba Tokubetsu in 1995, the year the JRA and the NAR began regular exchange races between the two bodies. 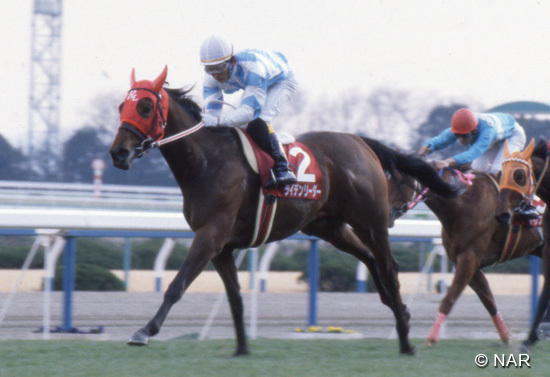 Afterward, Raiden Leader, as the first NAR-registered horse to run in a JRA classic race, went on to finish fourth in the Oka Sho (Japanese 1000 Guineas) and became a significant presence and symbol of the JRA-NAR exchange. The U.S.-bred Adjudicating was also recognized. 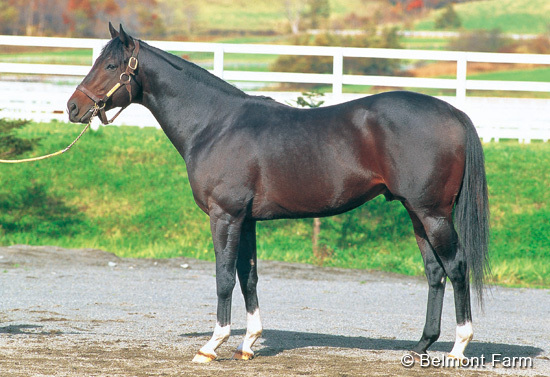 Adjudicating ruled as top sire for NAR-registered horses for eight years in a row from 2001 and produced many champions of NAR racing, including Adjudi Mitsuo, five-time winner of top-class races. 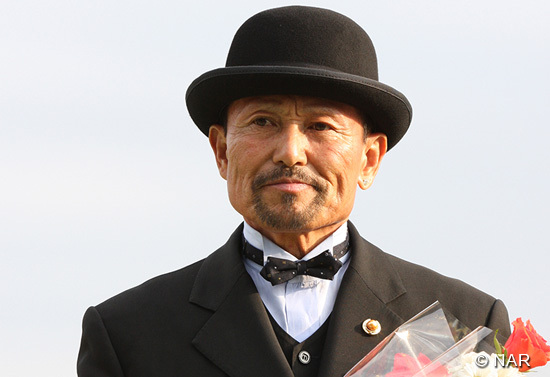 For the fourth year in a row, Best Trainer (Races Won) went to Masamitsu Saika, who saddled 235 winners. 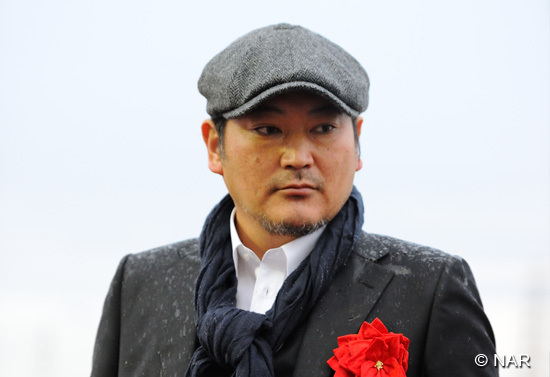 The Urawa-based Satoshi Kokubo, who topped the earnings list with some 530 million yen to his name, won his first Best Trainer (Money Earned). 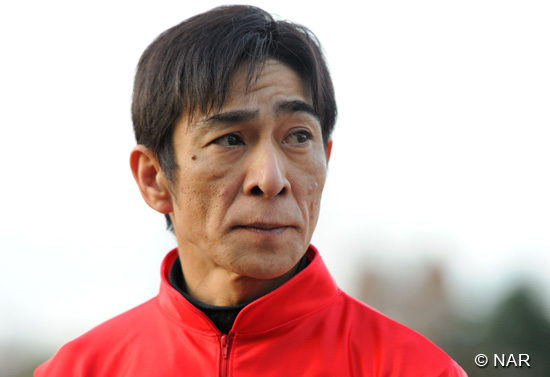 The Aichi-based Tsuyoshi Kawanishi was recognized as Best Trainer (Winning Average) for his win average of 38.8 percent. Kawanishi received the award for the third time and the first time in two years. There was no recipient of the Grand Prize Trainer award. Best Jockey (Races Won) went to Manabu Tanaka. 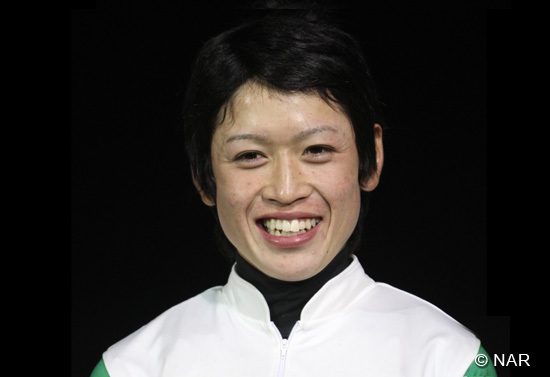 The Hyogo-based jockey received the award for the first time after bringing home 276 winners. Norifumi Mikamoto raked in the earnings and Best Jockey (Money Earned) award for the second time and the second year in a row. The Oi-based Mikamoto earned 710 million yen. 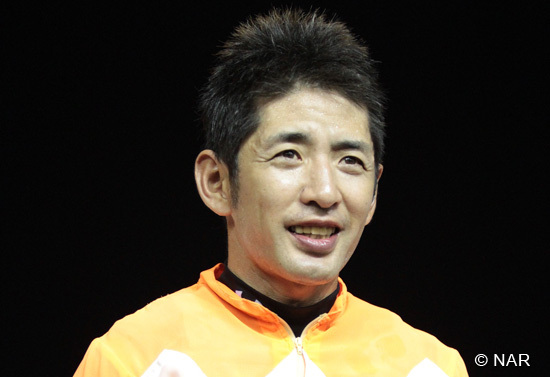 Best Jockey (Winning Average) was bestowed upon Isao Yamaguchi. Yamaguchi, based at Saga, also won the award for his second time and for successive years. Yamaguchi had a win rate of 28.1 percent. 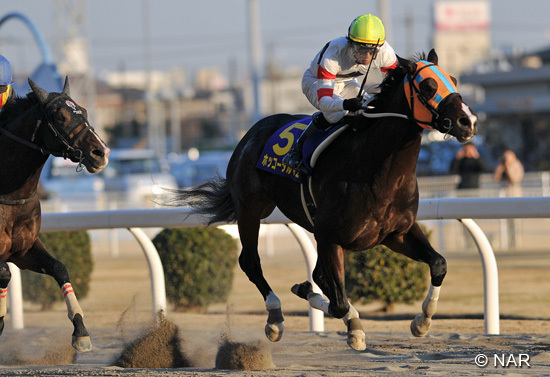 Ikuyasu Kurakane was named Grand Prize Jockey. Kurakane, who has ridden at the Korea Racing Authority-run Seoul Race Park since April 2013, became the first foreign rider to notch 100 wins in a year. 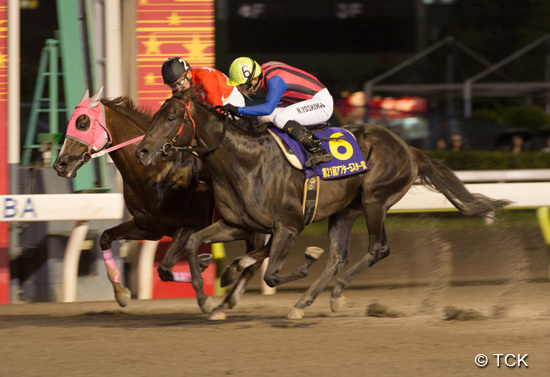 Kurakane, who hails from Kochi, rode 101 winners from 679 mounts and was named champion jockey of 2014 at Seoul Race Park. 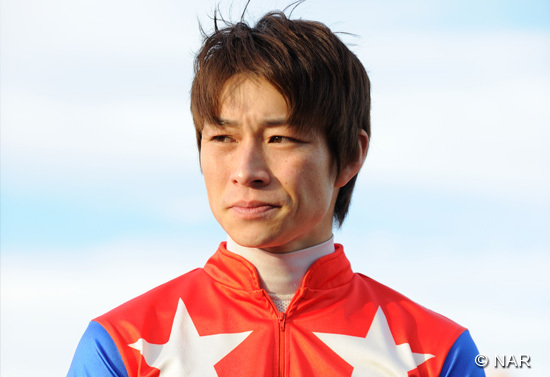 Best Apprentice Jockey went to Yamato Ishikawa, who was, in only the second year of his career, ranked No. 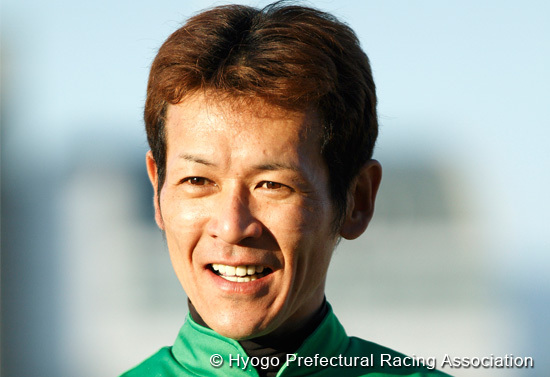 5 among Hokkaido jockeys after having notched 57 wins, including two wins of principal races. 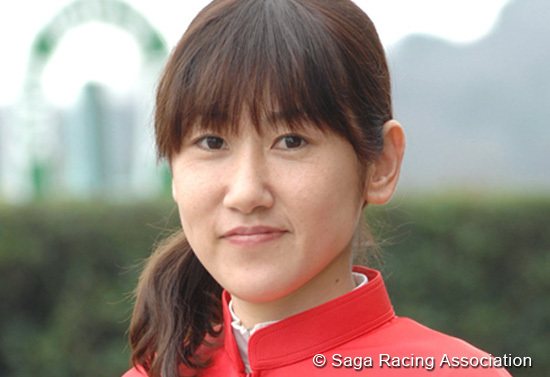 Best Female Jockey was won by Chiaki Iwanaga of Saga for having brought home the winners of 53 races. 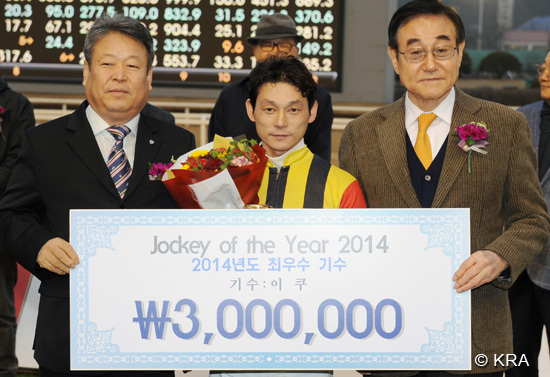 Takeshi Kimura of Hyogo was named Best Fair Play Jockey for the second year straight. 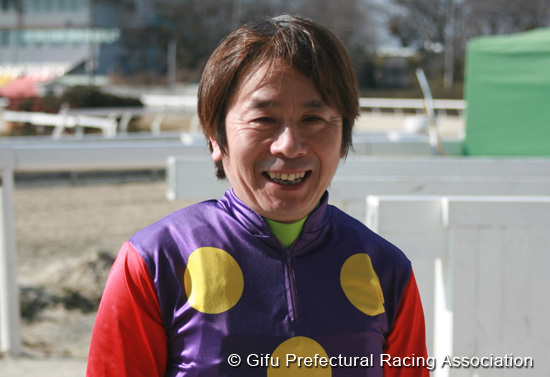 Special Awards for 2014 were bestowed on three jockeys who last year reached career totals of 3,000 wins in NAR racing each - Ban-ei racing’s Kazuo Okawara, Hyogo’s Takeshi Kimura and Maki Mukoyama of Kasamatsu. Also recognized with Special Awards were racing announcer Katsuhiko Yoshida and the late trainer Masayuki Kawashima. 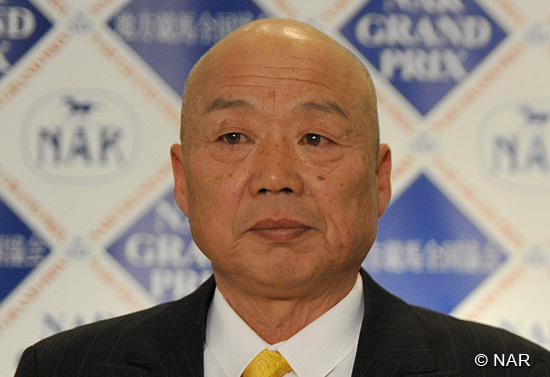 The Funabashi-based Kawashima, long a driving force in NAR racing, died last September. He had notched a career total of 139 wins of principal races and had amassed earnings of nearly 8.99 billion yen (both NAR records). Yoshida was the first person in 21 years, other than those directly connected to a stable or farm, to be recognized with a Special Award, and the first person since writer Hitomi Yamaguchi won in 1993. 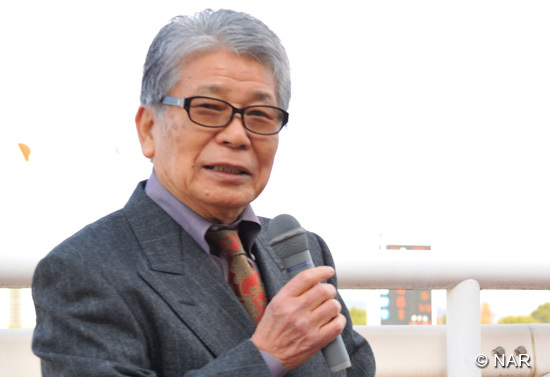 Yoshida, a track announcer for Sonoda and Himeji racing, was recognized by Guinness World Records on May 27 of last year as having the longest career as a race track announcer (from Dec. 1, 1955 to May 27, 2014). * Note: Ban-ei (Draft) races: run by "heavy" horses such as the sturdy Percherons, Bretons and Belgians. Ban-ei Horses pull a sleigh weighing any where from 1,000 pounds to one ton, along a 200-meter separated straight track over two small hills, which are located along the course.